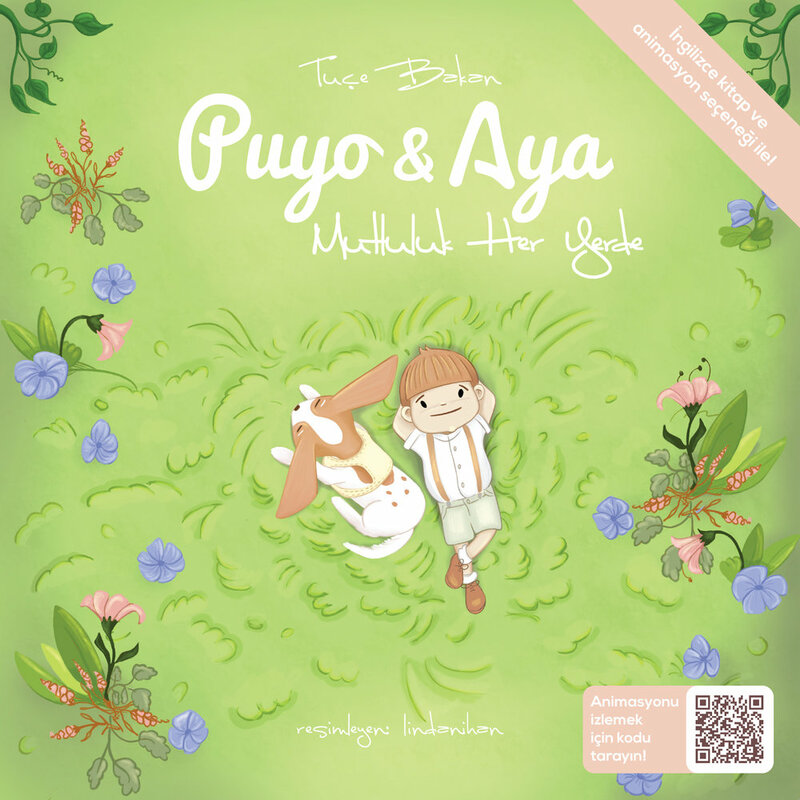 Puyo&Aya book and animation series are prepared carefully for pre-school children. As a priority, the series seeks to expand the imagination of young children and open their minds to positivity, goodness and happiness. -FSC certified paper used for all printed products. 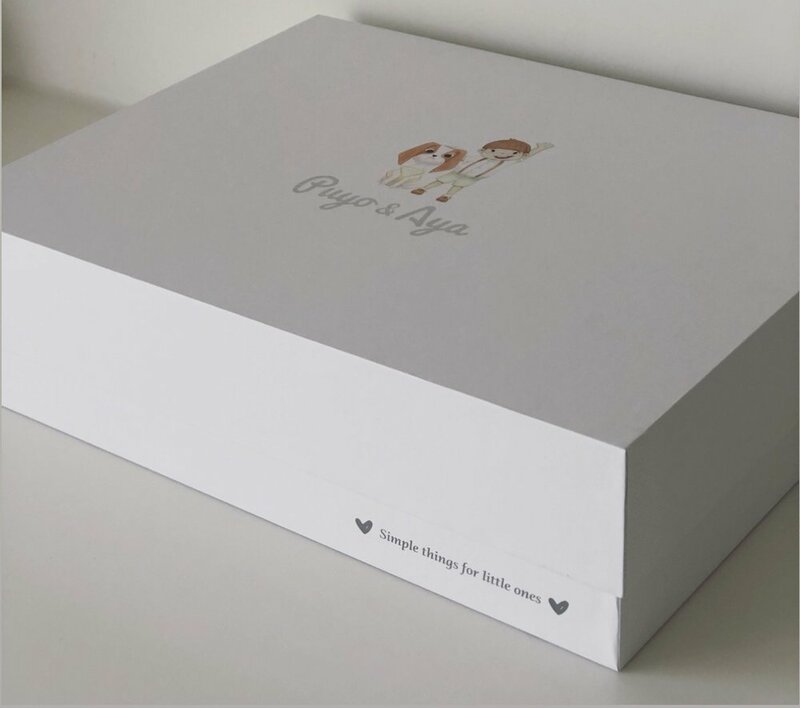 -Comes with Puyo&Aya design handmade paper bag. -Books can be bought seperately or combined other products. -Animations of books can be watched on You Tube channel with Turkish or English narration options. Puyo&Aya toys, blankets and pillows will become indispensable to children with their high quality soft textures. They help children to feel relaxed and secure while little ones are sleeping. Toys, blankets and pillows also create an enjoyable environment for reading books, listening to stories and playing times. -Lovingly hand crafted toys, blankets and pillows are made from certified organic cotton velour. We use only cotton and natural products as best as it can. -There is an hand made embroidery on blankets. -At the edge of blankets, there are pluggable personal initials. -High quality starch filling inside with extra cotton fabric protection. -Toys&Blankets come with Puyo&Aya design handmade natural fabric bag. -Handmade cotton embroidery in every detail. -Toy, blanket and pillow can be bought seperately or combined other products. -Because all of our products are organic, natural and sensitive products, we highly recommend to conform washing and care instructions. -Organic blanket with embroidery and pluggable personel initial. 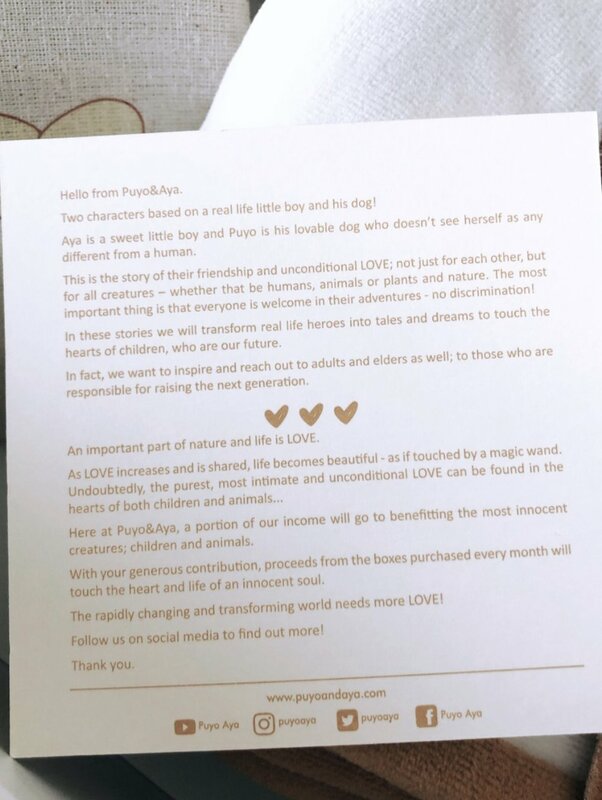 - A portion of Puyo&Aya income from boxes every month, will go to benefitting children or animals.